Help Your Decorating Clients Make a Greener Home! Happy Earth Day, interior decorators! What better way for an interior decorator to show the earth some love than by learning how to help your clients make a greener home? Gone are the days when sustainable living was a niche market for only the most dedicated environmentalists. In the modern decorating world, many professionals and clients are looking for ways to reduce, reuse, and recycle (or upcycle)—all while staying at their most stylish. Offering green decorating services isn’t just good for the planet—it’s also a major boost for your business, as more and more clients develop an interest in making their homes more eco-friendly. Read on to find out where to start! Decorating—and especially redecorating—can create a lot of waste. Old furniture and décor can get tossed; new furniture and décor uses a ton of packaging. Ideally, clients already plan on donating or selling their own gently used pieces to second-hand stores or charities. Even furniture and décor that’s seen a little wear-and-tear doesn’t necessarily have to be tossed; it might be just what an enthusiastic DIY-er is looking for. Cut down on the waste that comes along with new furniture by helping your client find their own used pieces. Second-hand stores, vintage shops, and auctions require a good eye and some dedicated searching, but they can turn up some incredible (and one-of-a-kind) pieces that are just waiting to shine in a new home. Even online classifieds like Kijiji and Craigslist might turn up the perfect piece—and for a good price, too. A little eco-knowledge from you can help your clients cut out materials that contain harmful chemicals in their homes. Look for low- or non-VOC paints, décor, furniture, carpeting, and other household items. 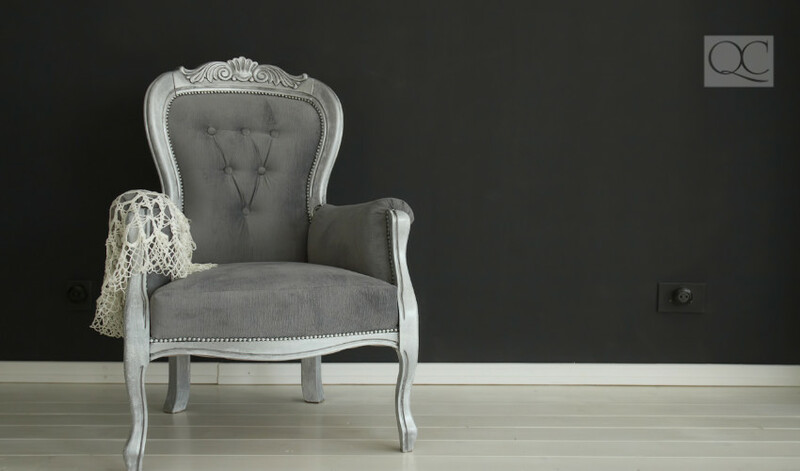 Furniture, décor, and materials that emit VOC (volatile organic compounds) or have a high VOC content aren’t great for the planet, but they can also be pretty bad for your health. All the more reason to keep them out of the house! Avoid chemicals like polyvinyl chloride (PVC) and other plastics, too. Their production is tough on the earth, and many people worry that these materials can have negative effects on your health. Help your clients play it safe—and make their home a little greener—by sticking with natural and organic materials. Is your client up for some DIY decor? Maybe they own a piece that’s not really working for them, or has just seen a little too much love over the years. Maybe they’re interested in a vintage piece from a local store, but can’t quite figure out how to use it. 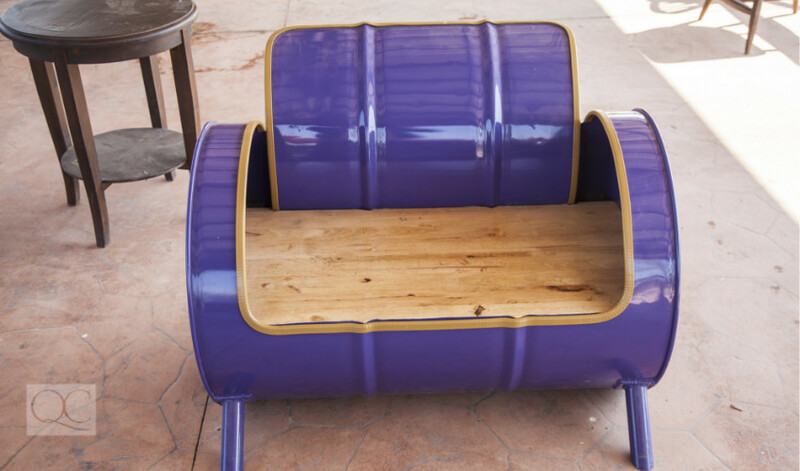 The idea behind upcycling is to take an old, often unusable item, and repurpose it into something better. Whether it’s a piece of furniture, an outdated décor feature, or even a piece of “trash” like a tin can or an old tire, there’s a way to turn it into a gorgeous addition to your client’s home. Take a look at these 221 upcycling ideas from PopSugar to get you started. Cutting out nasty chemicals doesn’t automatically make you eco-friendly. Cotton is a natural material, but its processing and production can still produce a ton of harmful waste. And while wood might just be the most natural home decorating material of all, it also contributes to deforestation—which doesn’t exactly fit with green decorating! Before you help your clients pick flooring, paint, furniture, or décor, make sure you’re source savvy. Avoid precious woods, unless they’re second hand. Instead, look for products (including flooring) made from bamboo, reclaimed wood, or wood certified by the Forest Stewardship Council. Keep an eye on brands, suppliers, and materials to make sure what your clients are using is sustainably and ethically sourced and produced. You can also look out for post-consumer or recycled materials that are starting to hit the market, like Bio-Glass or Varia Ecoresin. Green decorating doesn’t get any greener than vegetation! 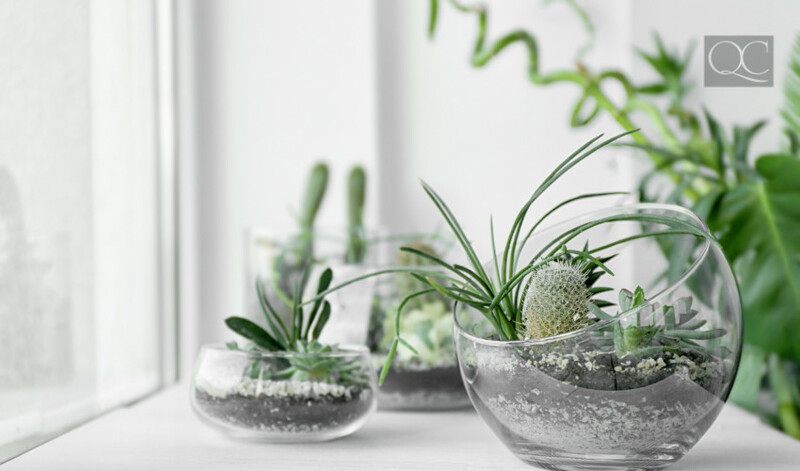 Add some color and life to your clients’ home by helping them finds suitable houseplants. Indoor plants come in a huge range of sizes, textures, colors, and—perhaps most importantly—care levels. Even a client with the blackest of thumbs can find a hardy plant they can manage to keep alive! In addition to their décor potential, some fragrant indoor plants can replace the need for an air freshener or diffuser. And all plants will help filter the air in your client’s home, keeping it fresh and creating a healthy living space. The benefits of natural light are obvious. As well as cutting down on electricity (and on your client’s bills), natural light just makes a room look and feel better. That’s green decorating at its best! While adding entirely new windows or skylights may not be in your client’s budget, you can still help them make the most of their natural light. Switching out heavy window dressings for sheer and semi-sheer curtains, or elegant wooden blinds, lets natural light into the room while still affording clients some privacy. Consider the furniture arrangement, too. 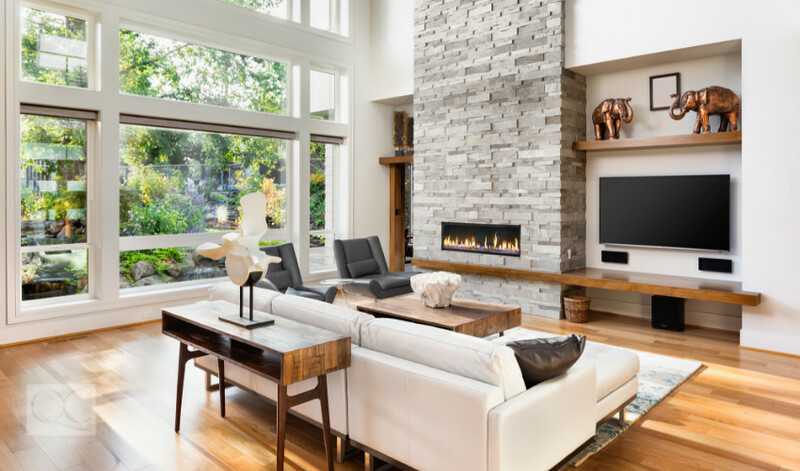 Move larger pieces into the center of the room, and make sure windows are totally unobstructed by furniture and décor. The outside of your client’s home can also have a major impact on how much light gets in, so take a look at the exterior to look for hedges, tree branches, or patio furniture that might be dimming the indoor space. Psst—some rooms just don’t get a lot of natural light. Check out our guide to energy-efficient lighting to improve those spaces, too! Sustainable, organic materials are great—but they do get a little less eco-friendly if they need to be shipped across the country to your clients. Green decorating means cutting down on packaging and transportation by looking for as many local suppliers as possible. You may not be able to find everything you need within your area, but make an effort to get as many decorating pieces and materials as you can from local businesses and suppliers. From a business standpoint, your connections with local vendors can be a major selling point for clients. You might also end up helping them cut down on costs by getting rid of pricey shipping expenses! Another great way to celebrate Earth Day? Get outdoors! Keep your patio stylish and beautiful with these DIY outdoor decor ideas. Previous PostFeng Shui Professionals – Be Ready to Answer These Questions! Next PostCan Long-Distance Design Consultations Grow Your Business?